I've just had my first day at work on the new job, basically a day of classroom training..
- I'll be working in the town of Bonar Bridge at the end of the loch for a few hours tomorrow getting some hands on experience. 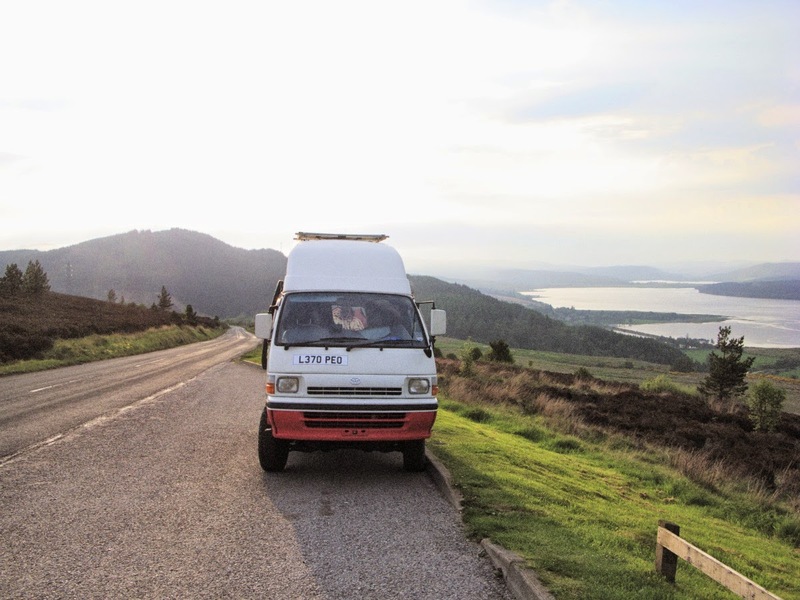 For those who don't already know, my job will involve reading gas and electric meters at homes and businesses in the west highlands of Scotland. So for the rest of the evening I can cook dinner, relax and enjoy this view. It feels great that my job covers my fuel expenses and I can enjoy this beautiful part of the world and work at the same time. Do subscribe for updates, and thanks for your support. know if I will stay over on all of the nights. The truck will be very different by the end of the ten day period. Keep safe out there Bro see you shortly.